The digital advertising industry is thriving right now. As technology continues to take over, the demand for digital advertising services increases, making it a very lucrative industry to be in right now. Which brings us to the topic of sales tax. Do you have to charge sales tax on digital advertising services? Traditionally no, but it would be wise to anticipate some major changes to the California sales tax in the upcoming years. Sales tax was designed to raise revenues for the state and local jurisdictions. Each state and locality has the ability to set and regulate their own laws regarding their sales tax. For example, the base California sales tax is 7.25%, with some cities, like Los Angeles imposing an additional 2.25%, bringing their sales tax to 9.50%. Only 5 states in the US do not impose a sales tax including: Alaska, Delaware, New Hampshire, Montana, and Oregon. Initially, sales tax was designed to tax tangible personal property (TPP) with some exemptions. However, with the growth of the internet and technology, that is starting to change. Up until recently the taxation of digital advertising services was exempt, due to its intangle status. In addition, most advertising services have always been considered exempt, with a few exceptions. However, as states start looking to raise revenues, digital advertising services have been put on the table for some states including: West Virginia, Hawaii, New Mexico, and South Dakota. In each of these states, digital advertising services, are presumed taxable, and are therefore subject to state and local sales tax. As the State of California attempts to balance their budget, new avenues of tax revenues have been explored. With the proposal of the Upward Mobility Act, information and services industries would be presumed taxable, and subject to California sales tax. However, the bill failed, leaving only services involved in the transfer of tangible property taxable. For now, digital advertising services are still tax exempt. However, tangible property like printed materials related to the campaign may be considered taxable. It is important to consider nexus when conducting business in California. 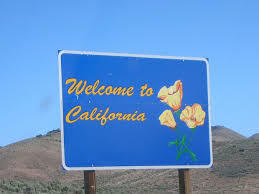 Merely engaging in digital advertising in California does not necessarily create a nexus. However, if advertising is paid through a commission on sales, this could generate a nexus. Working with a professional accountant, who can conduct a nexus audit is the best way to stay in compliance and avoid any unnecessary penalties. Sales tax isn’t an easy thing to understand. Especially as it varies from state to state and locality to locality. Then you consider the constant updates, it’s a lot to keep track of. Working with a professional accountant can help you better understand sales tax, and stay up to date on the latest. For more information on California sales tax and how it affects digital advertising, subscribe to our newsletter.